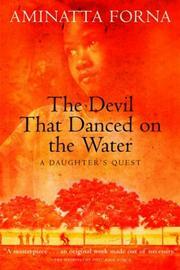 I’m just about to finish reading Aminatta Forna’s book, The Devil that Danced on the Water. The book traced the author’s memories and search for truth about her father, who was killed in a shame trial in their homeland of Sierra Leone. As someone who often travels – some would say, self-imposed exile, grasping the meaning of exile is tough. To us, exile seems like a weak punishment, preferable to jail, or torture. The world is a such a large place, if I’m forced to be outside my home country, I feel it’ll be easy to find another place to call home. Through her poignant, descriptive writing, though, I felt her longing, her aching, of being away from her place. Humans are a species that craves comfort, despite our new-found modern desires in today’s globalized world. Her father, when he returns from jail, ignores the advice of his friends and confidants to leave Sierra Leone. The few times that he goes abroad, he is always drawn back home? Why? Forna’s father was a moral man, who cared deeply about his country. He had, by chance, gotten the opportunity to study abroad, to gain an education that none of his siblings could. He took that education, that opportunity, and returned home to try and turn his country, newly independent and full of hope, into a better place. His soul was firmly in Sierra Leone. Exile, was, to him, the greatest punishment possible. It would be cutting off himself from his soul, from the country he loved and tried to help, first as a doctor, then as a politician, and lastly, as a businessman. To me, though, what is exile? It would be being forced to live outside of my dreams, my passion. There is something incredibly powerful about a man, or woman, who is willing to sacrifice their life, as, sadly, Forna’s father ends up doing, because of their values. That is why I travel. To discover, and build, my own sense of purpose, one that will drive me to my goals. Despite my love of travel, in the end, I want to be someplace where I can make the greatest difference, where I can feel like a full human being. To take that away from me, my family, my home, my sense of place, would be the worst possible punishment. It may seem like a fine line. I’ve yet to find my purpose, but I know I will.